2nd is a More Jobs for Veterans poster made by a friend on the design team during the Obama Campaign. As a gift, the design director, Josh Higgins, got it signed by POTUS and gave it to me. Easily one of my favorite gifts of all time. 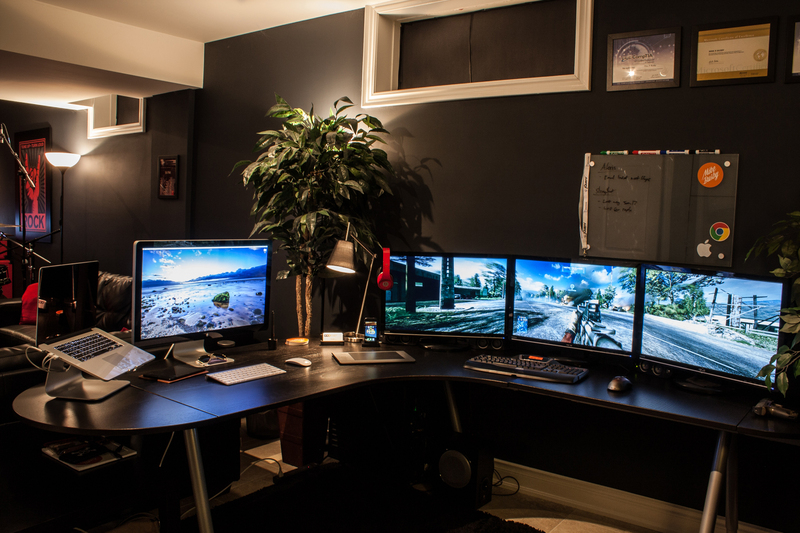 Wow I love those monitors. I kind of love these posts. Thanks Manik. custom built birch desk by a carpenter friend. iPad 3, mostly for testing. Don't really use it a lot. We've got a shelf on the left that rises to the ceiling full of books, the printer, mics, etc. Very cool, love the making of photos too. Such a nice spot. That window looks sweet! Must be nice to sit there during the summer and let some fresh air in. I would get totally distracted though! 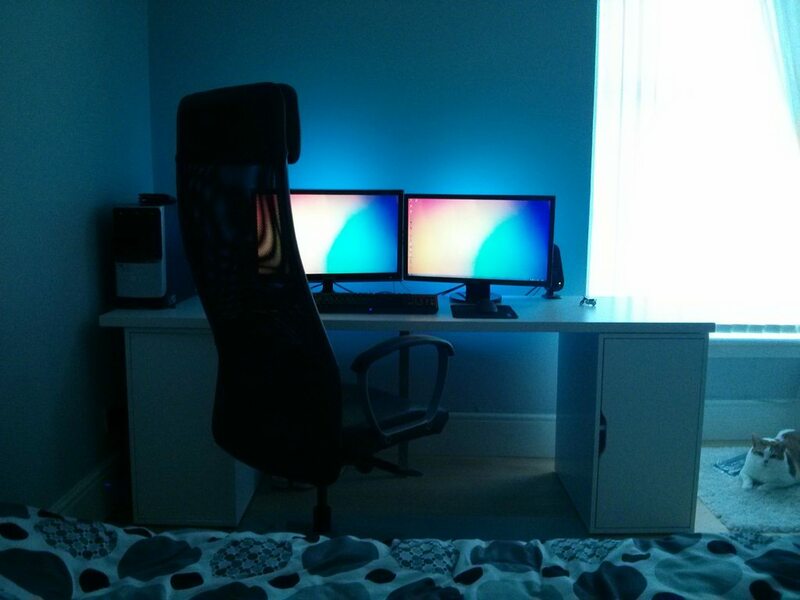 I love these posts too, Manik your set up is sweet! Thanks & right back at ya! 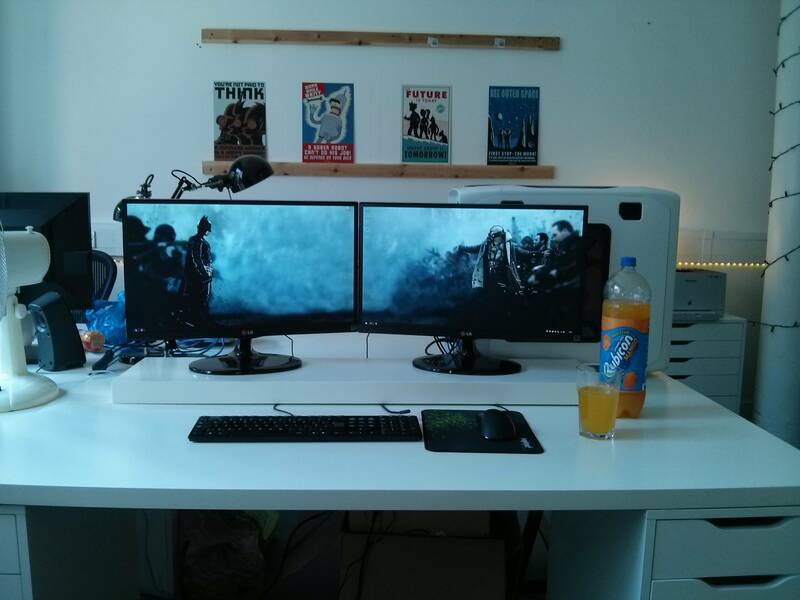 The home setup is nuts - some serious space there haha. And the office setup makes me want to pick up a projector for my xbox again. Had that back in college with my roommates and it was intense. Halo was never the same after that. I spent a lot of time creating the perfect space with the home setup. 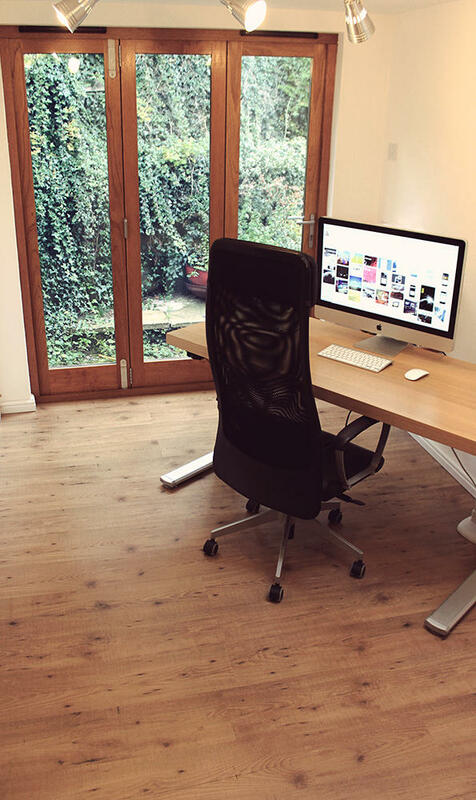 I do better work when I enjoy my environment around me, I'm sure other creatives can attest to that. I think you guys all need some desk plant. Try a fern, I have one and it brings some life to the office! Office Same setup minus the macbook. 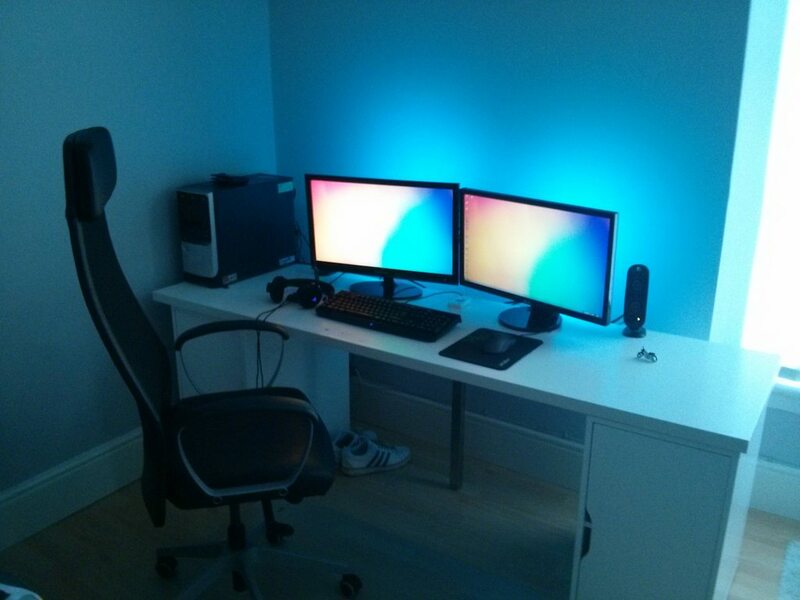 Does your keyboard really sit in that position or did you just move it so the picture would look cleaner? My workspace is pretty minimal. I only have what I really need on my desk at the moment.